Mary Anne and Sergio Quiroz formed their Aztec dance group, Kalpulli Yaocenoxtli, more than a decade ago. At that time, like their ancestors before them, their efforts to stay connected to their cultural traditions happened inside their home. Since then, folks in the Twin Cities of Minnesota have seen the group dance at protests, marches and parades. 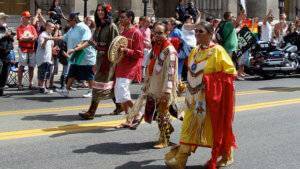 Their brightly colored feathers and regalia are hard to miss. But an opportunity arose a couple years ago to move the dance group’s home base out of the Quirozes’ house and into a public space. 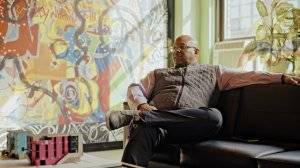 When a thrift store on St. Paul, Minnesota’s diverse East Side closed down, Kalpulli Yaocenoxtli moved in as a temporary experiment, realizing an idea the Quirozes and their partners in activism had mulled for years: What if they could bring together other artist-activists of color into an organized collective? 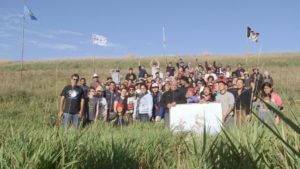 That’s how the organization Indigenous Roots was born. Its goal: “Creating space and opportunities for indigenous native people and people of color of different backgrounds,” Mary Anne Quiroz said. Today, Indigenous Roots has a permanent space in the same neighborhood. New murals on the walls of old buildings, done as a collaboration between Indigenous Roots and GoodSpace Murals, dot the street the organization now calls home. The murals depict youth of color who live on the East Side and traveled with the Quirozes to the Standing Rock Indian Reservation during the protest against the Dakota Access Pipeline. 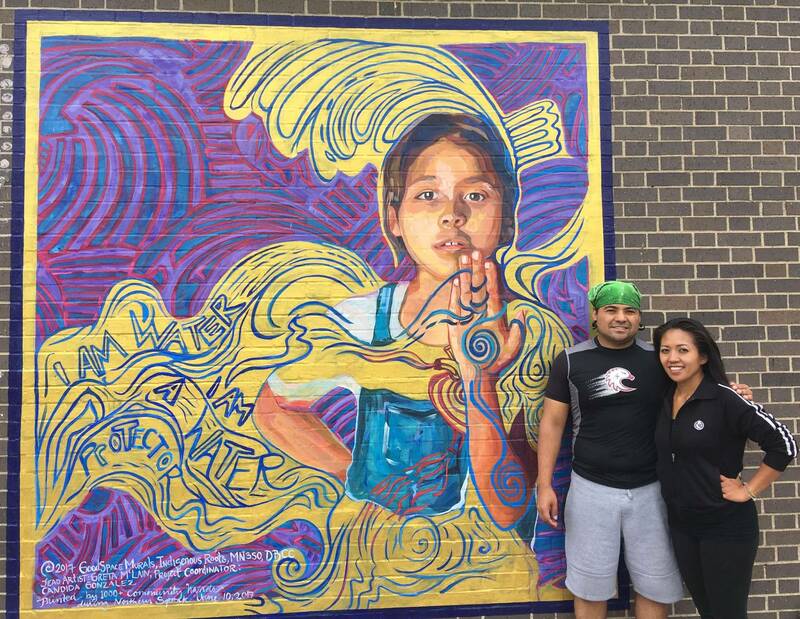 Sergio and Mary Anne Quiroz stand in front of a mural depicting their daughter near the Indigenous Roots Cultural Arts Center in St. Paul, Minnesota. Photo by Katie Moritz. It’s all part of the organization’s larger mission to claim space for communities of color in a place where those spaces are scarce, Mary Anne Quiroz said. 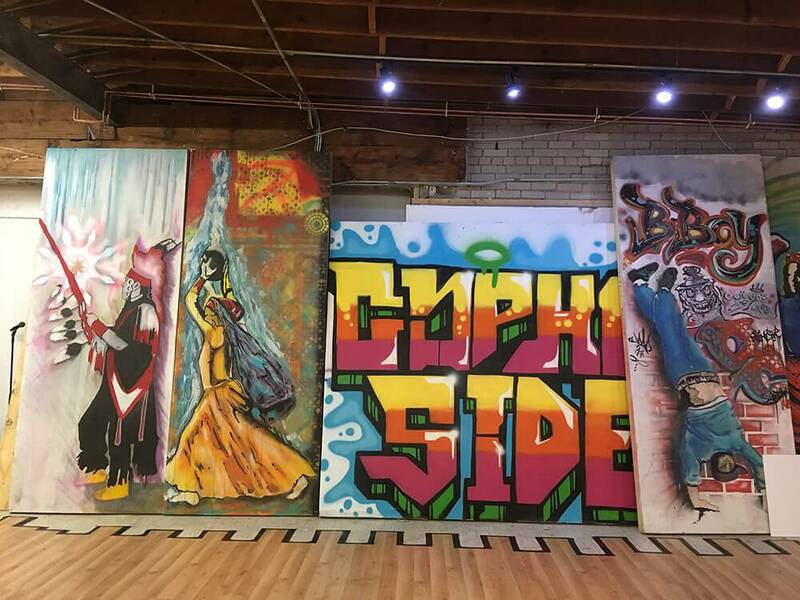 After another inclusive artist-activist space in the Twin Cities, Intermedia Arts, closed last year, the Quirozes were even more set on making Indigenous Roots a reality. 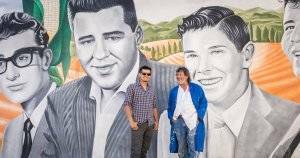 Like the murals, Indigenous Roots boosts the visibility of the people who call the area home. The Indigenous Roots Cultural Arts Center is filled with more murals, done by immigrant artists and artists of color, people who live here and people visiting from other countries. The front room serves as a gallery for emerging artists to show their work. And almost every night of the week events take place in the back—dance classes with Kalpulli Yaocenoxtli and other groups, comedy nights, including an upcoming collab between the Funny Asian Women Kollective and Blackout Improv, Hmong soup cook-offs and coming-of-age ceremonies. The colorful murals inside the Indigenous Roots Cultural Arts Center in St. Paul, Minnesota. Photo by Katie Moritz. Every member of the artist collective and the board is a person of color, Mary Anne Quiroz said. The aim is to celebrate and amplify the community at large, while also providing a kind of all-purpose sacred space for cultures within the community to celebrate themselves. “We really want to honor and make sure this space is led by native indigenous (people) and people from black communities, from our Latinx communities, from Asian communities, Filipino communities, all of that—creating that space where we can combine and converge our forces together,” she said. 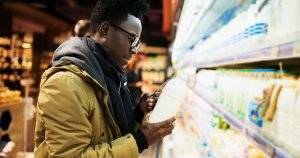 This article is part of “Living for the City,” a Rewire initiative made possible by The John S. and James L. Knight Foundation.